Yet another scheme with dubious prospects is taking place in Europe’s energy market. 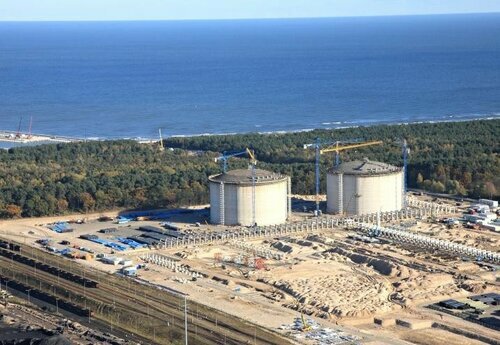 On 11 December, a tanker carrying liquefied natural gas will arrive at the Polish port of Swinoujscie from Qatar. As a result, the Polish LNG terminal at Swinoujscie will receive its first 200,000 cubic metres of liquefied fuel, which corresponds to approximately 120 million cubic metres of natural gas. This amount is intended for testing and the commissioning of the LNG terminal itself. The next tanker from Qatar is expected in Poland in the first quarter of 2016, while commercial deliveries are not expected before the middle of 2016. Poland’s former Prime Minister Ewa Kopacz is loudly declaring that thanks to this LNG terminal, her country will no longer be dependent on Russian gas. Kopacz has also pointed out that the LNG terminal in Swinoujscie is the first investment of its kind not only in Poland, but in Eastern Europe. This is the front side of the story. Now let us try to figure out if what is happening really means gas independence for Poland. To start with, it may help to look at what is going on next door to Poland in Lithuania. The local LNG terminal at the Port of Klaipeda has already become a monument to the socially and economically disastrous policy of the Lithuanian authorities, where ordinary consumers are being forced to pay the price for the anti-Russian. In order to recoup the costs of the terminal’s construction and its operation relating to the reception of Norwegian LNG, the Lithuanian government, in the style of an ultimatum, has called for businesses to buy part of the gas (at least 25 per cent of the total volume consumed) at the so-called ‘market price of the terminal’, which is higher than the price established by Gazprom for Russian pipeline gas. What’s more, it is higher both in terms of the ‘base’ price and the price taking into account the 20 per cent discount that Gazprom recently granted specifically to Lithuania. The company responsible for the capital’s heating, Vilniaus energija, has no choice but to buy 65 per cent of the gas it needs from the LNG terminal at Klaipeda. As a result, heating costs for the residents of Vilnius, which fell following the reduction in the price of Russian gas, began to rise again after the LNG terminal was put into operation. The Lithuanian authorities’ plans to resell the liquefied natural gas to their Baltic neighbours in an effort to try and compensate for its losses have also failed. Estonia has adopted a wait-and-see approach, while Latvia is in favour of continuing its cooperation with Gazprom. It seems that Poland has learned nothing from the experience of its Lithuanian neighbours, however. Only the source of their external energy dependence has changed. In Lithuania it has been swapped for Norway, and in Poland for Qatar. Over the past two years, meanwhile, the supply of liquefied natural gas from Qatar has been steadily declining. An exception can possibly only be made for the Dolphin project, which provides for the export of Qatar’s gas to neighbouring monarchies of the Persian Gulf – the UAE, Kuwait and Bahrain. Qatar’s energy ministry stated back in September 2014 that the country had no plans to become an alternative supplier for Europe. The amount of gas supplied to Europe by all of Russia’s competitors, with the exception of Norway, fell considerably in 2014, while Gazprom’s percentage was almost five times higher than that of Norway. In addition, the Blue Stream and Nord Stream offshore cross-border pipeline systems ensured around 35 per cent of the total transit volumes to Europe. In this regard, the Turkish media have been painting an even more graphic picture by pointing out the naivety of attempts to replace Russian gas with gas from Qatar or some other more ‘amicable’ country. As the Turkish newspaper Cumhuriyet points out, the authorities in Ankara should not forget that «the main supplier of natural gas to Turkey is Russia, then Iran, then Azerbaijan. Turkey is dependent on Russia and Iran for at least 73 per cent of its natural gas». 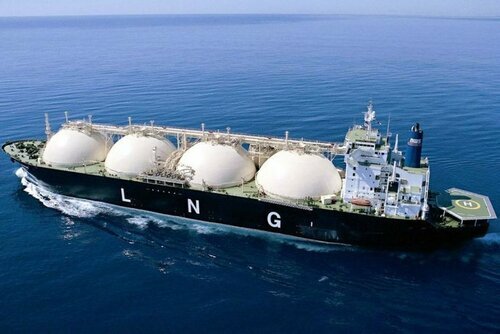 Turkey imports 3.04 million tons of LNG from Algeria, 1.08 million tons from Nigeria, 0.81 million tons from Qatar, and 0.2 million tons from Norway, but more than a quarter of the electricity is produced at power stations operating on Russian natural gas. This is the real balance of power on the energy map of Europe today. The situation being what it is, any attempts to replace Russian gas with gas from Norway let alone Qatar (and such projects also exist in Serbia and other countries in South East Europe) are blatant profiteering. And, as always, it will be the people of Europe who will have to pay the price for the profiteering of their own governments.